High performance valves for power to gas and wellheads for large-volume underground energy storage provide the highest levels of safety and set new standards. Innovative energy concept: deployment of hydrogen ball valves in the "WindGas Falkenhagen" power to gas plant. 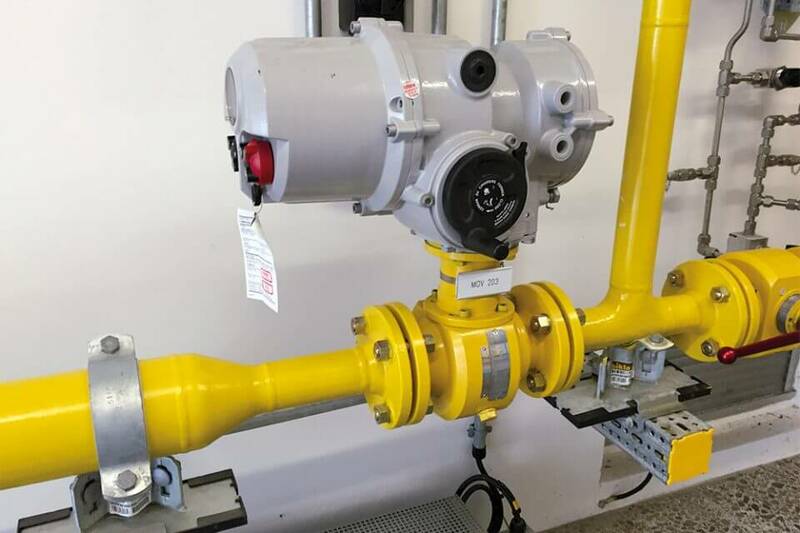 For the safe storage of renewable energy in the natural gas network, gas-tight hydrogen ball valves by Hartmann Valves are deployed. The power to gas process enables electrical power from regenerative energies to be made storable in the form of chemical energy. 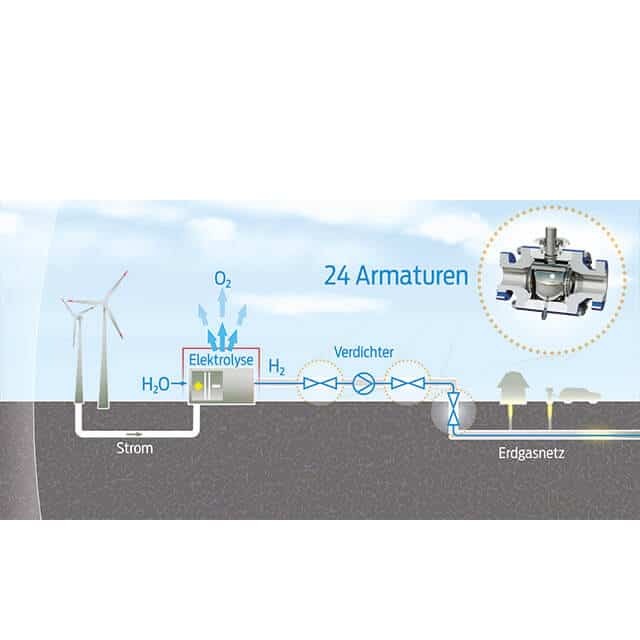 In various pilot plants wind energy, for example, is converted into hydrogen by means of electrolysis. Particularly high demands are placed on the shut-off valves by the medium hydrogen when feeding into the gas grid. Hartmann Valves, supplier of ball valves and wellheads for more than 70 years, has the appropriate expertise in the area of gas storage engineering and valves for extreme conditions, for example in hydrogen applications. Absolute gas-tight ball valves which have a pure metallic sealing system are already in use in several power to gas plants. Produced from high grade materials and designed for the special requirements of hydrogen, they guarantee extreme reliability and a long service life. 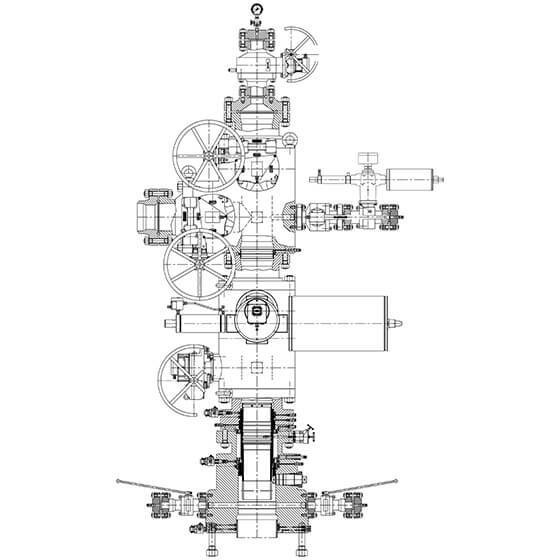 With customer-specific designs, Hartmann wellheads are available for the safe storage of large quantities of energy. Hartmann wellheads and valves provide the highest levels of safety with demanding media and innovative processes. In order to store future large quantities of energy for balancing production and consumption, various concepts are being pursued. In so doing, different media such as compressed air energy storage (CAES), hydrogen or synthetic natural gas are stored underground. Decades of experience from the crude oil, natural gas and chemical industries as well as collaboration in the first pilot projects makes Hartmann Valves a sought-after partner for the expansion of renewable energies and provides safe and controlled handling of the vast quantities of energy. Based on the newest technical standards, adapted to the special requirements and in close coordination with the customers, the Hartmann wellheads are designed for this. Metal-to-metal sealing ball valves thereby guarantee a gas-tight and especially low maintenance shut-off. Maximum availability and operational reliability of Power to Gas plants: Uniper Energy Storage relies on metallically sealed ball valves.